Monday at the splash pad. The summer is ending soon. I thought to myself sitting at my desk thinking about my kids at work. Right after I had this thought I had another one. 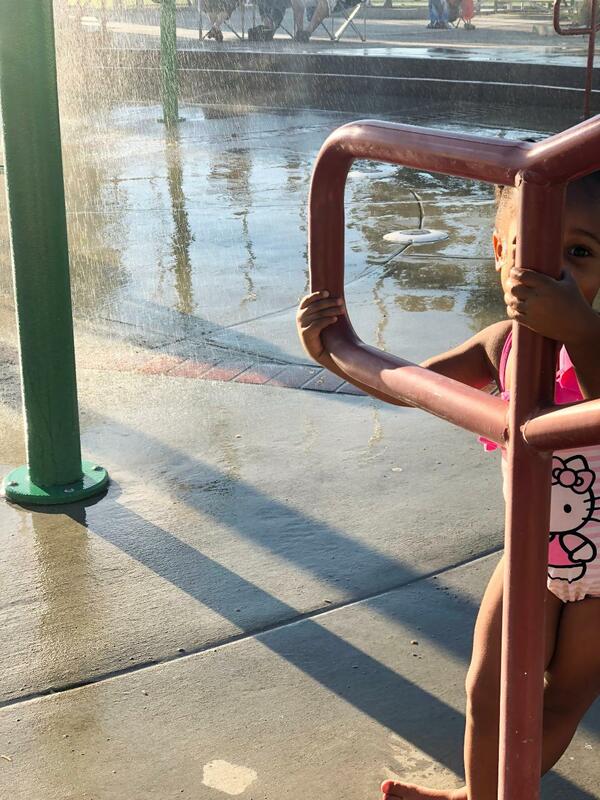 I haven't took my girls to the splash pad. 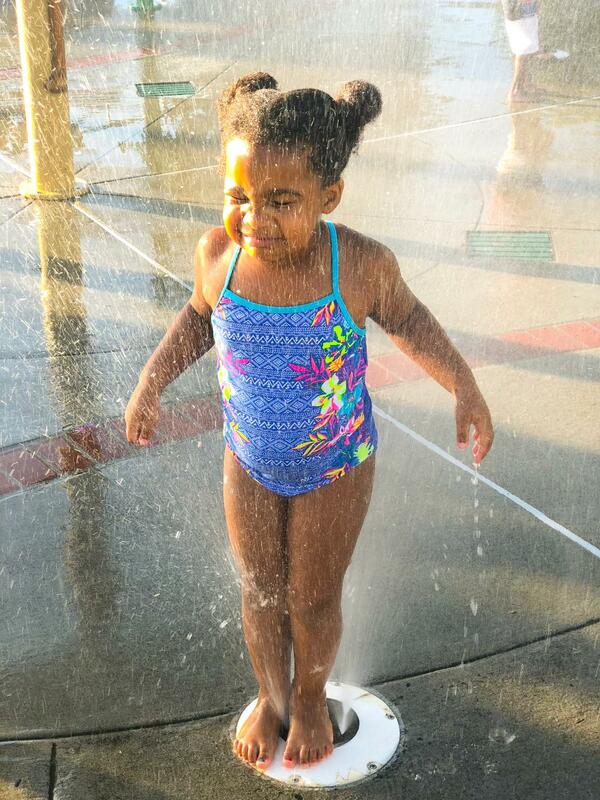 I remember I had attempted the splash pad last summer, Ivy was 3 and Aria was 1. Ivy liked it.. her sister. Hmm not so much. But being that they are one year older ow I deiced will try it again. 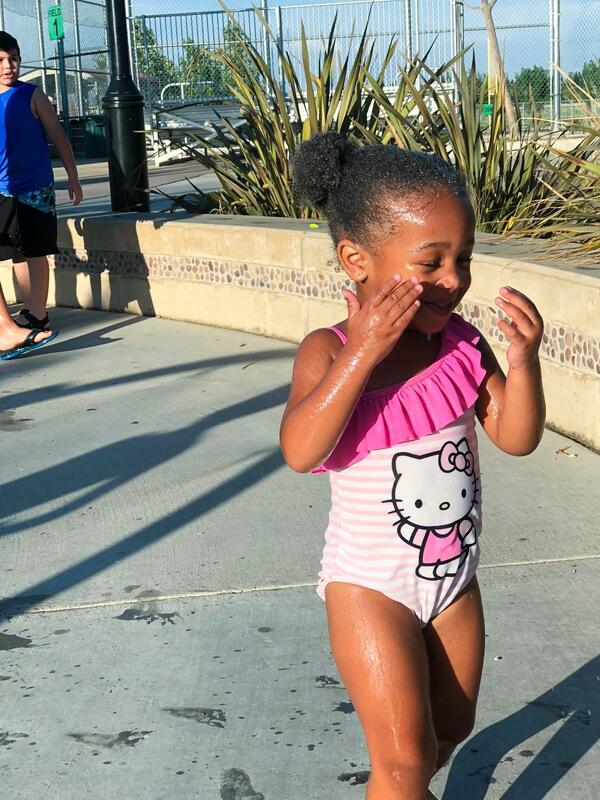 When I got off work I picked up the girls got them dressed in their swimsuits, slapped some sun screen on em, grabbed their water bottles and we we're out. 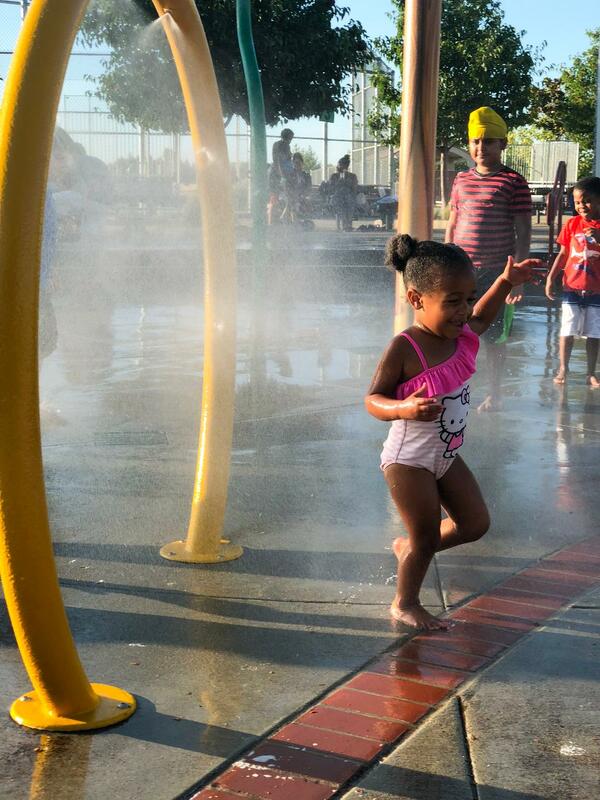 We live really close to the splash pad about 10 minutes away so not a long ride for my antsy toddlers at all. Did I mention we totally got ice cream on our way there. Once we got their Ivy immediately jumped right in and started splashing and running around with other kids. Aria again hmm not so much. 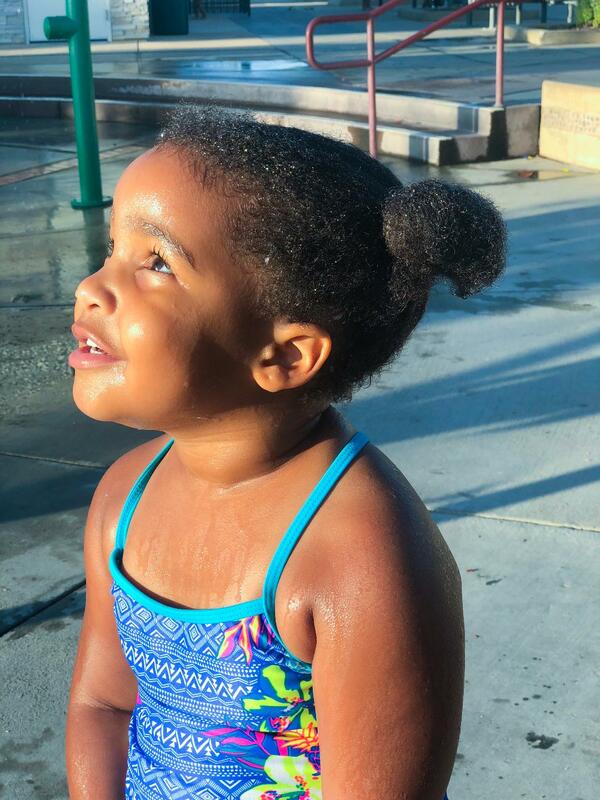 It took her a while of standing at the top of the stairs watching the other kids play but she finally found the courage to jump in and when she did, she did. The girls splashed and played with the other little ones there and got soaked and had a good time. When they we're done they dried off by running around the playground. Before we went home the girls stopped in the parking lot and put on a dance show for me. Super random, but so much fun. 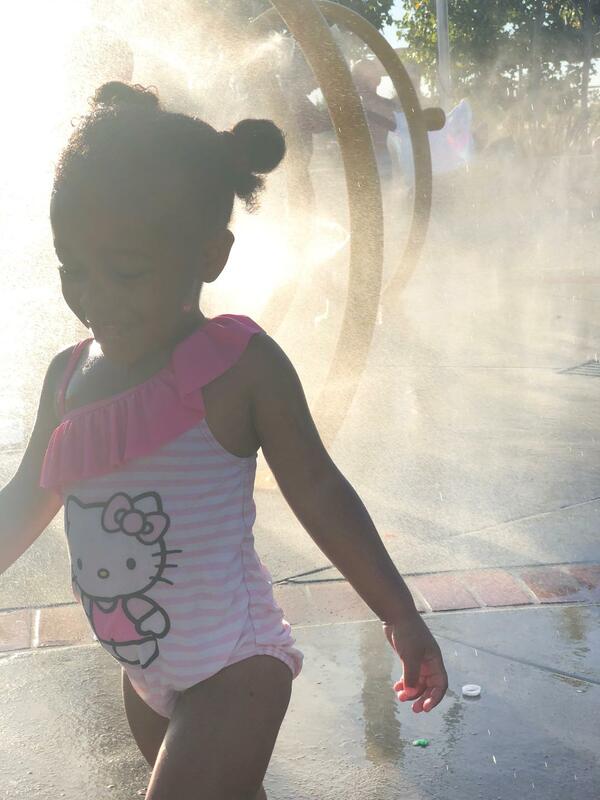 I love my girls, and how they can create a good time out of something so simple like going to a splash pad. I look forward to our next little adventure.